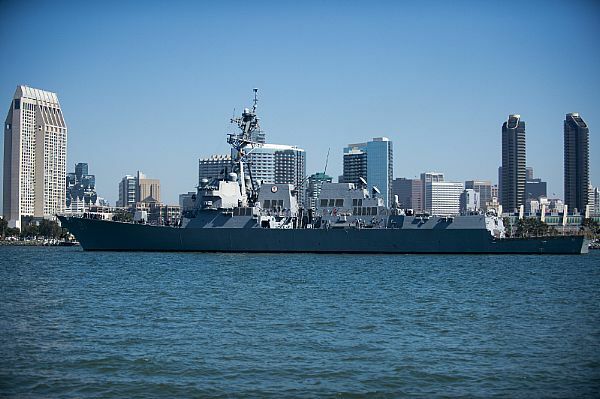 The San Diego-based USS Pinckney and its two helicopters have moved towards Vietnam’s southern coast to assist in the search for missing Malaysia Airlines flight MH370. The Arleigh Burke-class guided-missile destroyer had been conducting training and maritime security operations in international waters of the South China Sea, when it was diverted to aid in the search for the Boeing 777, according to the Navy. The passenger jet went missing while en route from Kuala Lumpur, Malaysia to Beijing with 239 people on board. Vietnamese Air Force pilots today spotted a 12-mile-long oil slick in the Gulf Of Thailand, south of Vietnam. Three American citizens were listed on the passenger manifest. 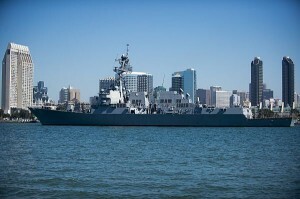 The Pinckney’s about 300 sailors left Naval Base San Diego in January for a seven month deployment, according to the Navy. The Navy was also sending a P-3C Orion aircraft, which have long-range search, radar and communications capabilities, from Kadena Air Base in Okinawa, Japan, officials said.